When I try to create server, the console gets me this errors. Instead of save files into my folder, they were saved into appData folder. You tried installing it globally, so the files are not stored in your folder but in the storage location of npm (appData). I suppose it works if you use the “open as administrator” option when opening the command prompt. And if you use: sudo npm install -g react-create-app? 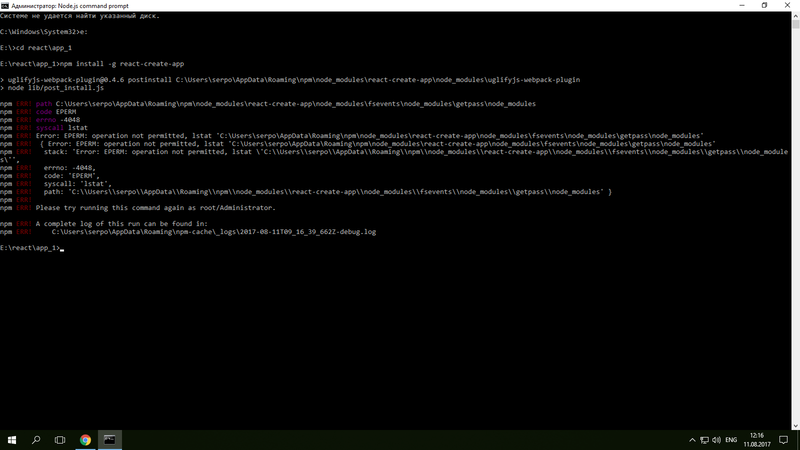 I just tried running npm install -g react-create-app with the Node.js command prompt and it worked fine, so I can’t really help. Sure you didn’t meant this? It’s still create errors. But when I later type create-react-app “some name” it works.